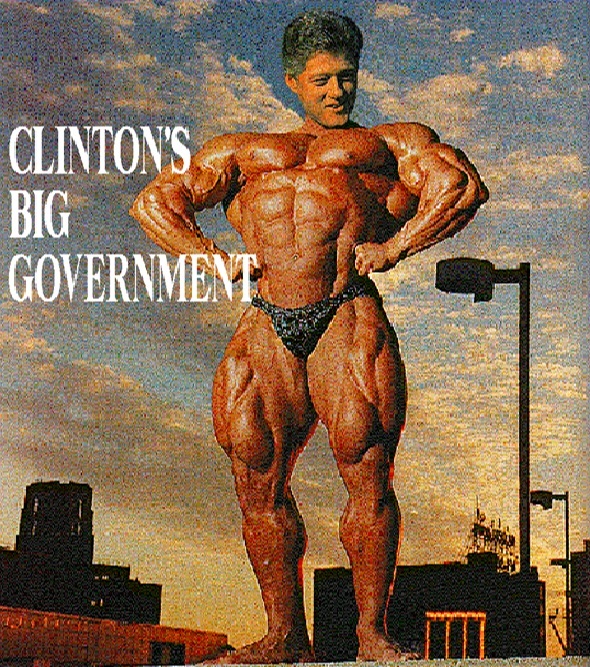 The headlines in the aftermath of the 1996 presidential elections will proclaim a victory once again for Slick Willy. This forecast is not based upon wishful thinking or gut feelings. Instead, this is the prognostication arrived at by our unbiased computer models. Figure #1 above represents our computer forecast that was originally generated and published back in 1992. Following the results of 1992, our model generated its forecast for the 1994 elections that shocked many of our clients at that time. Our computer projected that the Republicans would win both the Senate and the House of Representatives in 1994. Following the successful outcome of that forecast, the Associated Press picked up the story and interviewed a few Professors of Political Science who had not been able to correctly forecast the 1994 elections even 2 weeks in advance. When asked how a computer could possibly forecast the outcome 2 years in advance, the typical response was “luck” or coincidence. The truth behind our model is far from luck. It is based upon the real issues that determine the outcome of an election – not flag burning, abortion or even capital punishment. Any political hack will naturally espouse the beliefs of their party. I once argued that point with Jack Kemp who felt that the people voted for Ronald Reagan in 1980 because of his economic ideas. That is a statement which is simply not true. The 1980 election was easily predictable by a computer based upon the dynamics of our model – economics! Without exception, the political direction will ALWAYS change to the opposition whenever the economy moves to an extreme. The Great Depression was not caused by Hoover or any of his policies but by the combining trends of drought (which destroyed the commodity industry that represented 40% of the civil work force at that time), collapsing capital formation (the result of government debt going into permanent default for most of Europe, Asia and South America in 1931), and the high value in the dollar that help to reduce exports and sparked a trade war (similar to the effects that have brought Japan to its knees today). Under such extreme conditions, if Hoover’s opponent were Mickey Mouse he still would have lost. In 1980, inflation was running rampant and interest rates were on their way above 20%. Under such extreme conditions within the economy, again the vote swung to the opposition – this time Reagan. The 1984 election was won by Reagan on his ideas and a vote of confidence for his success. But the economy was not at an extreme point at that time, which always tends to favor the residing politican. What we have learned by our correlation study of the economic and political trends is simple. Ideas count ONLY when the economy is steady. Whenever the economy moves to an extreme, the political trends switch teams. This is true abo ut not merely the United States, but all nations. Even the might LDP in Japan has lost support in the face of a severe depression. The simple common denominator behind this effect is none other than human nature, which some term as a “fair weather friend” on a more personal level. The net direction of our political-economy is determined by the competing forces of domestic vs. international influences. In other words, the Great Depression was unavoidable from the US perspective because we could not control the economies and political processes in Europe or Asia that lead to massive government defaults on their sovereign debt issues. We could NOT prevent unemployment from rising to 25% by passing a law against drought. Nature simply did not cooperate and Congress is incapable forcing nature to make it rain. The Panic of 1907 was unavoidable because we could not prevent the Great San Francisco Earthquake of 1906. We must face reality! We cannot pass a law to control nature, international trends or prevent such things from disrupting our domestic economy. Our model, therefore, is based upon monitoring all these trends globally. Our global perspective is then correlated to domestic trends and economy behavior. Consequently, our computer model forecasts have nothing to do with political bias, hopes or dreams – only the facts. 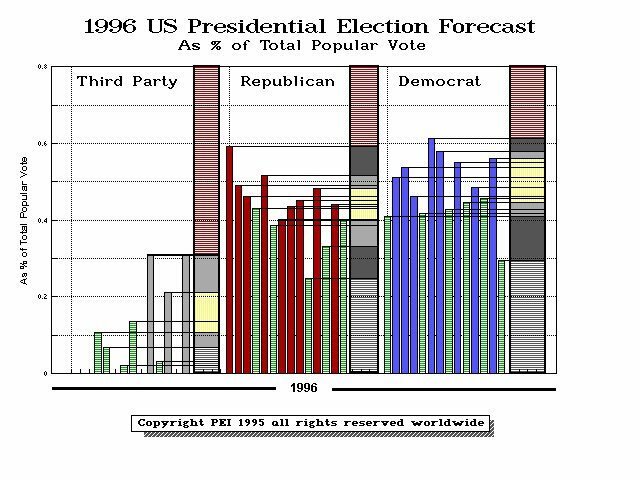 Some would argue that it was unpredictable to forecast that Perot would have captured 19.02% of the popular vote back in 1992. This again, is a statement that is based upon shallow research. The conservative element within American politics has ALWAYS split into two groups. It did so in the 1860s when the Republican Party grew from that split to elect Abe Lincoln. That marked the end of the Whig Party and forever changed the Democratic Party which had began as the anti-federalist movement but quickly became the new federalists once in power. In 1912 the vote split once again with the 3rd party taking 30.7% of the vote, the Republicans dropping to 24.6% to the benefit of the Democrats who captured 44.6%. 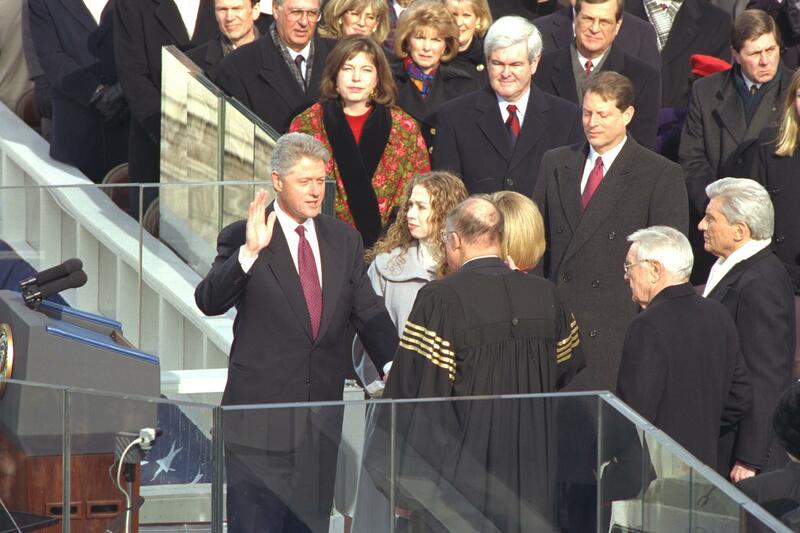 Clinton’s victory of 1992 came with a popular vote of only 43.28% – the lowest in history for a wining president. So what you see is that 1992 was NOT a fluke, but more of the same from a historical perspective. Based upon our economic projections, we see the future trends as shocking for most who tend to believe that the direction of a rolling stone does not change course. If there is one forecast that can be made with certainty, it is that the future will not be exactly like the present. Figure #2 above represents our forecast for the 1996 election. The white portion of the large vertical bars represent the possible range for the popular vote. 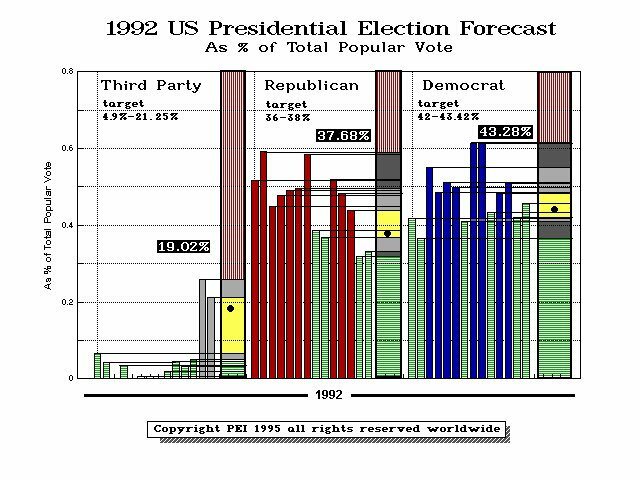 We can see that the 1992 results fell all within those projected target zones. When we look at these projections for 1996, the Democrats are still favored. 3rd Party activity is possible should Perot throw in his hat – but there is no possibility for a 3rd Party victory at this time in the game. Clinton could win in 1996 with a majority this time coming in as high as 56% but no less than 51%! 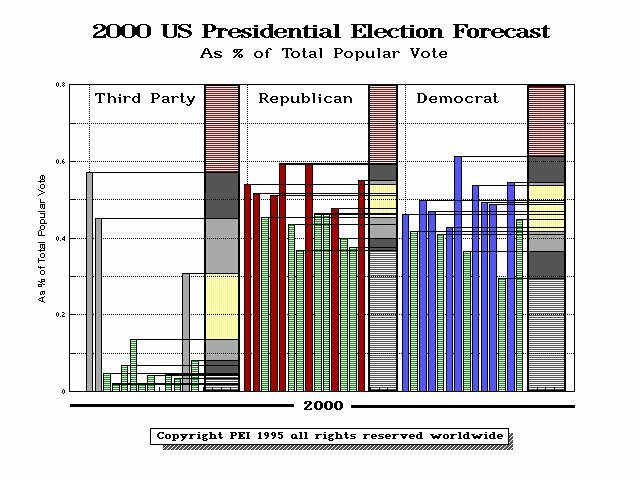 Figure #3 above offers our projections for the Presidential elections of 2000. Note that the Democrats decline sharply and could come in as low as 42%. 3rd Party could come in as high as 31% but there is the outside change of gaining as high as 55%, but this not likely until 2016. When we review our computer model’s forecast, the results appears to be Democrat in 1996, Republican in 2000 and 2004 with a swing back to Democrat for 2008 and 2012. The Democratic Party should suffer a major defeat in 2014 in the House and this will then set the stage for perhaps the Democratic Party itself will fading away by 2016 and but the Republicans may be the party that splits creating the Third Party as they did for the Civil War with Lincoln and under Teddy Roosevelt who formed the Progressive Party with a socialist slant. As the population begins to age and the generation of the Depression babies and World War II vets are no longer with us, the political landscape will also change. The generation that is coming up to bat in the next 10 to 15 years is clearly more skeptical about government. The hippie generation of the Great Society (Clinton Generation) will be faced with government defaults on just about every trust fund currently in place as we pass the year 2016 mark. Clinton’s speech in which he proclaimed that “age of big government is over” touched the very heart of the problem. But like the Russians who claimed that they would reform their economy slowly, the problems are deeper and much more serious than Clinton is willing to address at this time. By failing to deal with the trust fund problems and rising taxation today, we are insuring that the problems in the very near future become much more serious. Consequently, the economics behind the scenes will dictate the future. There is a very serious risk that the once Great Society experiments will go down in history as the Great Folly of an unrealistic generation. As the economy begins to swing ever more violently with greater volatility in the years ahead, the net impact will be one that completely discredits the Democratic Party and its Marxist position in the same manner as the Reform Party has been discredited in Russia. In the aftermath, our computer is forecasting the demise of the Democratic Party and the split of the Republicans and the birth of a new 3rd Party movement that will eventually capture the hearts and souls of America only be economics. Without political bias, those who expect Social Security as any viable program for retirement have a greater chance of being abducted by aliens than ever receiving the full benefits as our parents once did with the same conditions and terms as the present.